Full disclosure: I’m working on the social media for the ILoveMuseums.com campaign. The concept behind the campaign is to get enough signatures on a petitions to show government that we care about museums and can’t afford any more cuts to funding and budgets and still survive. 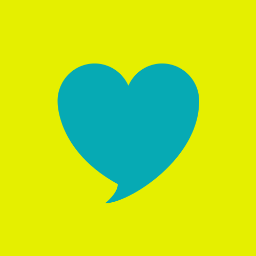 I Love Museums is a campaign led by the National Museum Directors’ Council with support from: Arts Council England, Association of Independent Museums, Culture24, Museums Association, The Art Fund, University Museums Group, Army Museums Ogilby Trust. I Love Museums launched in June, after the elections with a day of trending and people worldwide filling in the statement #ILoveMuseums because _______. There were over 1200 signatures in one day. Since then, not much. We’ve have had people sharing visits with #ILoveMuseums but the support has seemed to wean off. Last week I attended a debate at Parliament as MP Robert Jenrick asked for a ballot on Regional support for the arts. I went representing I Love Museums to live tweet (see Storify here). The #artsfunding debate is similar to #ILoveMuseums: stop the cuts and support museums and galleries outside of London as much as those in London. @MarDixon Maybe not publicised enough? Maybe not grass roots enough? Maybe not sure what it is for? Maybe bigger thing better for petition? @MarDixon @ILoveMuseums could be lack a clear goal. Museums won’t close if I don’t sign the petition. There is no clear threat to fight for. @MarDixon @ILoveMuseums Perversely, perhaps because it is positive? Many Internet petitions are based on language like “stop” or “ban”. @MarDixon@ILoveMuseums Because people don’t yet see a severe and immediate threat? My question to you: What can we do to get you to take #ILoveMuseums and the #ArtsFunding debate seriously? Why do we constantly have to wait until we have a fight on our hands to show the love and respect we have for our culture? As a strong supporter of NHS, libraries, young people and more, I know how tiring it is to always seem like we’re signing one petition over the other. I get it. But I also get we can NOT stop letting our voices heard. I Love Museums has the right partners and right people behind it – we just need the public to know this is about their access to culture for all!